TONY OLIVER began his career over 25 years ago as an actor on stage and on camera, performing in several feature films and dozens of plays. He found success as a voice over artist, lending his voice to one of the first foreign made animated features to receive wide release ("The Sea Prince and the Fire Child"). His first foray into television was as the lead voice in the popular animated series "Robotech". Following that, Tony turned his attention to writing and was soon working as a freelance writer on several cable series for children including "Macron 1" and "Mapletown". In 1988 he joined the staff of Saban Entertainment, story editing the long running Nickelodeon series "The Noozles". He quickly rose through the ranks, producing, story editing and voice directing numerous broadcast and cable series as well as promotional pieces and sales presentations. In 1990 he wrote and co-produced an award winning animatic adaptation of Rudyard Kipling's "The Jungle Book". Soon after, he produced a number of specials and home entertainment projects and began working as a development writer. He participated in the development of several animated series including the critically praised "Little Shop" series on FOX. In 1992, Haim Saban (CEO of Saban Entertainment) asked Tony to help him and development executive Ellen Levy-Sarnoff create a new kind of children's television show. The result was the mega children's hit, "The Mighty Morphin Power Rangers". 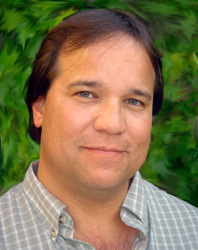 Tony not only served as the development producer but also wrote the pilot episode, produced the network presentation and story edited the first season. As Supervising Producer, Tony took on the additional responsibilities of writing, producing and directing the Power Rangers live appearances including the February 1994 appearance at Universal Studios, Hollywood, which drew an estimated 50,000 people on a single day. In early 1994, Tony was named Supervising Producer of "Saban's VR Troopers". Later in the year he co-developed and wrote the script for the international sensation "Mighty Morphin Power Ranger - Live Tour". He then spent several months in Sydney, Australia consulting on the 20th Century Fox summer release "Mighty Morphin Power Rangers - The Movie". In 1995 Tony was named Co-Producer of "Power Rangers". Following that he produced a number short run series, PSA's and specials for FOX Kids Network and Fox Family Channel as well as Co-Executive Producing and Co-Directing a family feature film entitled, "Rusty: The Great Rescue" starring Hal Holbrook, Rue McClanahan and a menagerie of talking animals. Before leaving Saban Entertainment, Tony produced a "Power Rangers" retrospective special, which earned significant Saturday morning ratings among kids and was the top rated program on FOX Kids the day it aired. In 1999 Tony left Saban Entertainment but has continued to develop, produce, voice and direct numerous projects for TV, Film, Video Games, and New Media. More recent projects include ".hack//GU" a multi-player online video game; "Section 8" a multi-player console game; "Daigunder", an animated series for ABC Family/Disney; "Anime TV", a popular live action Web series; "Gurren Lagann" a breakthrough anime series for the Sci Fi Channel; "Aussie & Ted" a family oriented feature film; "Eureka Seven: Goodnight, Sleep Tight, Young Lovers" which premiered on screens nationwide last year and "Martha & Friends", from Martha Stewart and 4Kids Entertainment.